LOST has always been one of my favorite TV shows. Even though you can argue some aspects of it were disappointing (including the ending), I feel it was the most entertaining, clever and well-researched series in recent years. The music makes no exception. I’ve been exposed to a plethora of awesome retro artists through the show and I decided some time ago I wanted more of it. And I wanted them in vinyl format because, you know, I wanna do it in style! 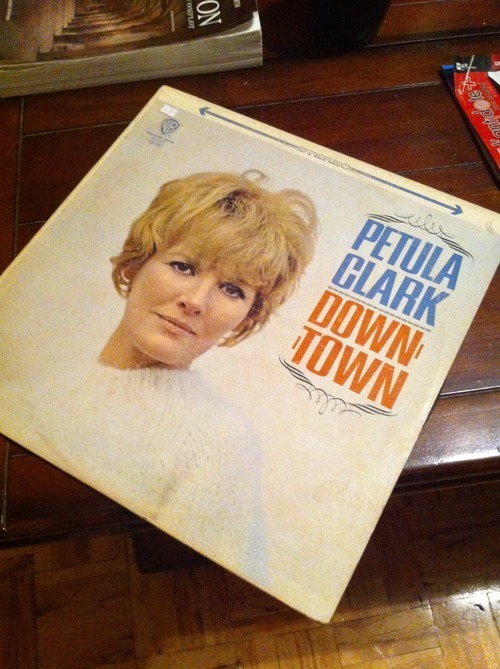 So I got Mama Cass’ Make Your Own Kind Of Music, then I was given Xanadu’s soundtrack and finally I found Petula Clark’s Downtown this weekend in Montréal. Next time I get on a record store razzia, Willie Nelson, Patsy Cline and Glenn Miller will definitively be on my list.